A good statement jacket is a great conversation starter. If it’s bold and beautiful, it can pretty much be worn any time of the day. Glamorize your simple look with the perfect statement jacket to turn your look from blah to BOOM in an instant! You can find great statement jackets at your local vintage shops, department stores and boutiques (online or in store). But keep in mind that when it comes to owning such a dramatic piece, prices will vary. You may luck up and find one for as low $20 or $500, but nonetheless don’t be discouraged, because trust me whatever price you pay will be worth it. 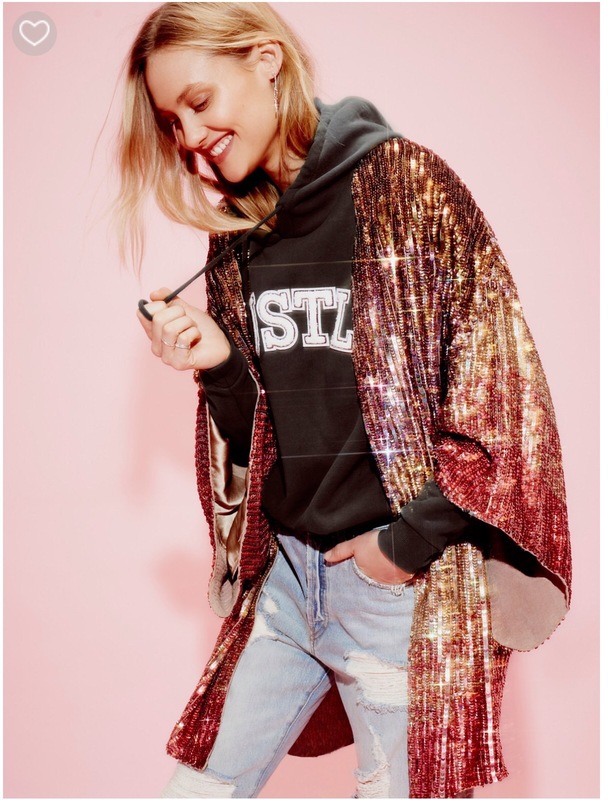 I’ve been eyeing this sequin kimono from Free People for the longest and I’m infatuated with it, and it’s $598. In the end, it all depends on how much you’re willing to spend, and will you actually get your wear out of it. Don’t just buy a jacket because it’s cute. Make sure you wear the hell out of it! Statement Jackets You’ll Fall In Love With! Here are a few statement jackets I’ve found. From sequins, to florals, velvet, fringe, and even leather. There is a jacket that will fit into your personal style. These jackets are great conversation starters, so if you’re a shy person, you might want to refrain from wearing one at the moment, because along with the stares, you will engage in some sort of conversation. Which one is your favorite? Can you see yourself wearing such a bold piece? If so, where? Tags: BRAXAE, how to style a statement jacket, sequin kimono, statement jackets, style, WHERE TO BUY A SEQUIN KIMONO, where to buy a statement jacket. Bookmark the permalink.